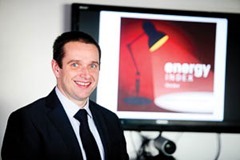 John French, Director of Regulation and Pricing at firmus energy, explains how its energy index tracks wholesale prices and informs debate within the sector. Tracking and understanding the reasons behind the price fluctuations in the energy market is not for the faint-hearted. It is not just a simple calculation based on the normal commodity matrix of supply and demand – there are many factors which influence the peaks and troughs of this unpredictable product. Few companies have the luxury of a dedicated energy manager, who can watch the markets and choose the optimum time to strike a price with their supplier. However, natural gas company firmus energy produces a detailed monthly energy index which tracks global developments in the wholesale energy markets across oil, gas, coal and electricity and how these may impact prices in Northern Ireland and Ireland. This seasonally adjusted, weighted index provides a useful barometer of wholesale energy market developments and implications for consumers as a whole. Of the four main commodities, oil and electricity are the most dominant in Northern Ireland followed by natural gas and coal. Acknowledging the different contribution of each commodity, the index tracks the monthly global price movements of these commodities factoring in any currency shifts and produces an overview and insight into the global wholesale energy market. It also includes a detailed narrative to explain the drivers behind these movements and an outlook that attempts to anticipate where prices are going next. Price movements can reflect complex global supply and demand issues which can arise from geopolitical tensions, weather events in the UK or further afield, strikes, mechanical breakdown and many other factors. The energy index is a way for firmus energy to add an informed level of commentary to the public debate around global wholesale energy prices that impact every business and consumer in the country and that have a direct bearing on businesses competitiveness. As we are so dependent on imported fuels, the index sheds valuable light on the global factors, forces and events that are shaping wholesale prices. The firmus energy index is designed to capture the underlying fuel costs that make up Northern Ireland’s overall energy bill. The wholesale prices of four key fuels are tracked month by month to produce one composite number. That figure shows whether the collective charge for energy is rising, falling or staying the same. At the beginning of 2010, the index was given an initial value of 100. At the start of this year (2014) the index had reached 134 and by the end of October had fallen again to 108. Essentially what this means is that the wholesale cost of energy in Northern Ireland had risen by 34 per cent over the intervening four-year period. Of course, the list of monthly results can be used to calculate the rise or fall in prices over any chosen period. It should not, however, be interpreted as a precise guide to movements in energy bills at the individual level for two reasons. The index is calculated on the basis of wholesale fuel costs. It does not take into account taxes, distribution costs and supplier margins. In addition, it is unlikely that any family or business will share the exact mix of costs distilled into the monthly figure. Nevertheless the firmus energy index provides an up to date insight into what we together pay to heat, light and power homes, offices and factories and to fuel cars, vans and lorries.